Overview: Wondering why a preschool curriculum is important? Where to buy one? Wondering what a homeschool preschool curriculum should include and how to plan your own? Here are the answers! Need a fun, interesting homeschool preschool curriculum? Are you interested in homeschooling your preschool-aged child? Have you thought about homeschooling but aren’t sure you have what it takes to persevere? Homeschooling during the preschool years is a great way to try it out to see if it’s going to work for your family. It gives you something constructive to do during those long daytime hours while your husband is at work. It helps you bond with your children in a way that nothing else will. Watching your preschooler learn and grow is a wonderful experience and one that you and your child will both enjoy. It’s just plain fun for you and your child if you do it in the right way. Why is Preschool Curriculum Important? What Preschool Curriculum Is Best? If you’d like to work with your preschooler, having an actual preschool curriculum isn’t always necessary. Some people choose to spend plenty of time playing with their children and reading books to them. And that’s great! Our kids need that time with us and the benefit from our undivided attention. A preschool curriculum becomes important when we decide we want to become a bit more intentional and start showing our children how fun learning should be. If you check out the shelves of any bookstore or grocery stores, for that matter, you will find all sorts of workbooks for every grade from preschool through middle school. However, this may not be the best approach to take with young learners. Sitting your young child down and expecting him or her to fill out a stack of worksheets isn’t always the best way to teach kids that learning is fun. Sure, some children enjoy sitting quietly and reading books for hours or filling our worksheets. But if you have a child who enjoys using his hands or who likes to be on the move, requiring him to sit still with a pencil in his hand is a sure-fire way to teach him that learning is torture. And we certainly don’t want to give that message to our young children. Our job is to help them WANT to learn. To discover that learning is fun and exciting! This is why I think the best preschool curriculum is one which allows our kids to experience the world with all of their senses. One that lets them move and engage with the material by using their whole bodies rather than just having to sit still and listen. Or even worse to sit at a desk and fill out stacks of worksheets. If you’re short on time or would like to follow ready-made lesson plans that are full of fun, multi-sensory lessons, you can purchase a great homeschool preschool curriculum that is all ready to go. There are lots of options to choose from. Remember to choose wisely. As I said before, some people purchase workbooks for young kids to work through and this isn’t always the best option. Young children usually learn better with fun, hands-on activities than they do sitting at a desk with a pencil in their hand. If you’d like to purchase a program which is filled with hands-on activities, book suggestions, and ways to allow kids to run, jump and skip while learning, I have created a fun, program called Learn & Grow: Hands-on Lessons for Active Preschoolers. The lesson plans in this book are based on the activities I used to do with my own boys and I spent hours and hours coming up with them. 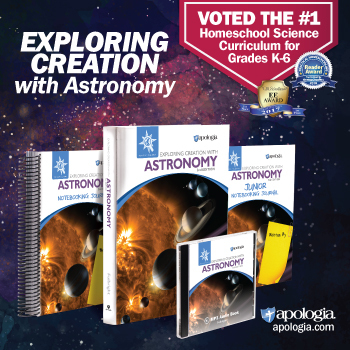 Amazon – This is a close second favorite for purchasing a homeschool curriculum. Amazon is convenient and if you have Amazon Prime, you don’t have to pay any shipping. That’s a huge perk! Plus, they often carry brand new books as well as used ones, which is definitely nice! If you have the time, it can be rewarding to come up with preschool activities and lesson plans on your own. When I first started doing homeschool preschool activities with my boys, I came up with ideas for them by searching Pinterest and Google. While it can be enjoyable to find these activities on our own, be prepared for it to take a lot of extra planning time. Below is a list of fun preschool activities for you to try with your child. Let your child finger paint with whipped cream and construction paper. This is another huge hit with kids and it won’t hurt them if they’re still at the age where they put things in their mouth. You can even use food coloring to give them different colors of “paint”. It’s easier to clean up, though, if you leave the whipped cream white and let them paint snow pictures. Give your child markers, crayons, pencils, etc. and let them scribble to their heart’s content. This really helps with their hand-eye coordination. You can make rudimentary dot-to-dot pictures for them to follow if you’d like. When your child is really young and first starts working with paper and writing utensils, I’d recommend taping their paper to the table. They will have enough things to concentrate on without having to try to hold down their paper at the same time. Give your child lace-up cards to play with. This activity is excellent at developing fine motor skills. Give your child different types of blocks to play with. Let them stack them, make roads for their car with them or however, they’d like to play with them. Kids have more active imaginations than we do so follow their lead. Lincoln logs are another fun activity especially when dad can also be involved. Children will be delighted to see the wonderful creations that they can make together with their fathers. Give your child some playdoh, a rolling pin, and some cookie cutters and let him play. Draw a rainbow on a large piece of paper. Give your child a bowl of Fruit Loops cereal and let them match the cereal pieces to the right colors of the rainbow. Walk around the house with a lunch bag and have your child collect any items he sees that are a specific color. Give your child a pile of cheerios or another snack of your choice and have him count each one before he eats it. When they are very little, they might not want to sit still through an entire picture book. But the more you read to them, the longer they will want you to read to them. This is a wonderful way for them to develop a longer attention span, to develop their speech and grammar skills, and many other valuable skills. Print off pictures of events from a story and let your child put the pictures in the right order. Teach your child sign language. Check out this great website for more information on teaching sign language to your preschooler. You can find all sorts of easy and fun science experiments on the internet. One fun activity is to fill a small glass with water and another glass with milk. Put a straw in both glasses. Let your child blow into each glass and see what happens. Be sure to have towels handy for this one! Take field trips with your child. Take them to the zoo, to a children’s museum, to plays and concerts which are geared for younger children, etc. Let them experience the world around them. Put a 2×4 on the floor and let your child try to walk across it without falling off. This is a really great activity for developing their gross motor skills. Give your child sidewalk chalk and let him doodle all over the driveway. This is just a sampling of some of the fun activities that you can do as part of a homeschool preschool curriculum. The more time you spend with your child, the more you will get to know where their individual interests and talents lie and you can explore those in more depth with them. At this age, the main thing is for your child to enjoy learning and to build your relationship with him. Relax, have fun with your child, and watch him blossom. If you’d like to see even more fun homeschool preschool activities, please click here for more information about my Learn & Grow: Hands-on Lessons for Active Preschoolers. Question: What preschool activities have your children enjoyed? Are there any homeschool preschool activities you would add to this list? Please leave a comment below. And be sure to check out the other great posts about How to Teach Without a Curriculum from other iHN bloggers at iHomeschool Network. I think so many parents worry that their child won’t be ready for school if they don’t go to a preschool… You have included so many awesome ideas here for parents to help prepare their children! So many fun ideas! Are these all incorporated in the Learn and Grow curriculum? If so, I’m definitely ready to buy! I have 4 kids 4 and under, and I’m looking for something to keep us all sane on days we’re all at home together. 4 kids 4 and under?!? Wow, I can see where you’ll get lots of use out of it. Have fun! I’d love to have you check back in after you’ve been using it for awhile. Take care and thanks for the question! Wow such fun and great tips! Parents are their child’s first teachers and the most important ones! You have some wonderful ideas for working with young children. Our homeschool journey began 6 years ago when I was home preschooling our oldest daughter. We now have 4 young one (ages 8, 7, 5, and 3) and I always love finding new ideas for keeping things fun with the younger ones. Thanks for stopping by and joining in with Littles Learning Link Up. So glad you could join in. Your post was one of 3 featured this week. I hope you will join in again this week. I am a father of four who seeks to provide a homeschool/pre-school approach. However, I am divorced from their mother, but we do enjoy sharing residential time with our children equally. I am writing to say thank you for opening my eyes to the fact that I am no alone in my conviction that parents are equally capable of preparing their children for kindergarten as are day-care providers with exceptional reputations or legitimate pre-schools because of the unique relationship and bond that is already present. I also write in search of advice. Two of our children are in grade school, and the two of concern are age 4 and 3. My ex wife recently insisted that our children be enrolled in a head-start program. I agree with the reasons she stated entirely and in fact want to promote it; however, where the disagreement comes is that I wish to do it. I am a student in the midst of a career over-haul and though my family lacks somewhat now, I am hoping you agree that acquiring a degree in a field known to pay well is by no means a bad idea when necessity dictates. That being understood my conviction to want to do this with our children is driven by the fact that I have completely centered my entire life and my education plan around the time I have our kids. All of my work and all of my coursework gets done in the other half of my life. A long story short is I feel strongly that my educational background has taught me patience because i work with challenged students, often with people and know no other people better than my own children. I have convinced my ex to give me an opportunity to demonstrate a plan for carrying out this endeavor so I am desperately hoping you might help by education me on how best to go about it and any resources you might know of . I am poor at the moment. Oh this is a gem. I’ll try these with my son soon. I’ll also check how I can get a copy of your Learn & Grow. I’m from the Philippines. Could you also explain what 2×4 exactly means? If you’d like to purchase a copy of Learn and Grow, you can do so on Amazon. I was just looking on Amazon for you and it said that most books can be shipped to the Philippines. Let me know if you need any further help with that!